I don’t normally carry all that much cash on me, but come Summer I do because of going to festivals, farmers’ markets (vendors often only take cash) and the local ice cream truck that comes around on the weekend. My oldest son can hear the ice cream truck from miles away, many minutes before my aged ears pick up the sound. Of course, on a Saturday, it’s fun to treat us all to ice cream in the neighborhood or park, but that means I need cash. However, ice cream truck options are limited. There are many more types of ice cream. We set out many options below along with several examples. Dairy ice creams come with all the goodness of rich, smooth cream that everyone loves. If you want to indulge yourself, do it right with full dairy ice cream. It has the necessary calcium to boost the health of your bones and teeth, and the yummy taste will definitely make you happier. Is there anything better than a tub of Ben and Jerry’s on a hot summer’s day? The company initially started in a small renovated gas station and has now expanded across the world. They have countless flavors that you can try. One such example is the fabulously fudgy brownies inspired by the famous Greyston Bakery in New York. This bakery is popular for its deliciously decadent baked goods and works towards training low-income residents of the city. Häagen-Dazs initially started with three flavors: chocolate, coffee, and plain vanilla. They have now evolved to hundreds of flavors but maintain the high standard by choosing the best ingredients available. 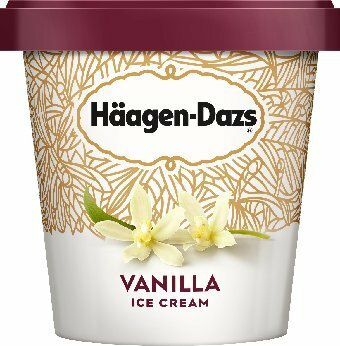 The rich, creamy flavor of the world-famous Vanilla is made with Madagascar vanilla. This exotic spice gives the ice cream a distinct flavor that melts on your tongue. The sweet vanilla flavor is enhanced by the pure cream used in the ice cream. Mint chocolate chip is a flavor that is getting more and more popular by the day. The chocolate and mint pair is a beloved option that everyone just loves. This ice cream comes with dark chocolate chips mixed in through with the minty green ice cream. It is one refreshing option that everyone will love having a scoop of. The end result is gelato is lighter than ice cream. 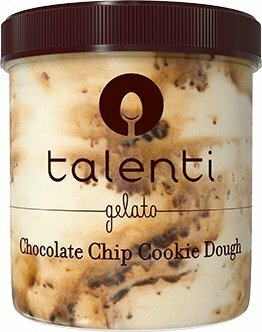 Talenti is a premium ice cream brand that travels the world in search of high-quality ingredients to add to their ice cream. Whether it is the sweet vanilla beans from Madagascar, crunchy green pistachios from Sicily or intense mangos from Maharashtra, the real ingredients bring a real punch of authentic flavor. The ingredients are slow-cooking with fresh milk and cream. The homemade cookie dough is added to create great chocolate cookie dough flavor. The delicious gelato is one that you won’t regret even having a pint off. According to the FDA, ice cream needs to have at least 10% of dairy to be called ice cream. This is why most vegan ice creams are referred to as frozen treats. It is created with non-cow milk ingredients like almond, soy, or coconut milk. A lot of companies have now started making dairy-free vegan frozen treats for people who are watching their calorie intake or have lactose intolerance. The vegan dairy-free ice cream by Ben and Jerry’s is made using pea protein, coconut oil, and almond milk. It is the perfect treat for people with lactose intolerance since it offers them a chance to enjoy cool, smooth ice cream without an upset stomach. 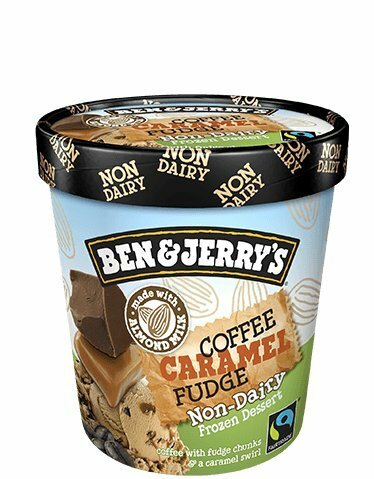 There are 11 flavors that you can enjoy by Ben and Jerry’s, but Coffee Caramel Fudge is a special one. 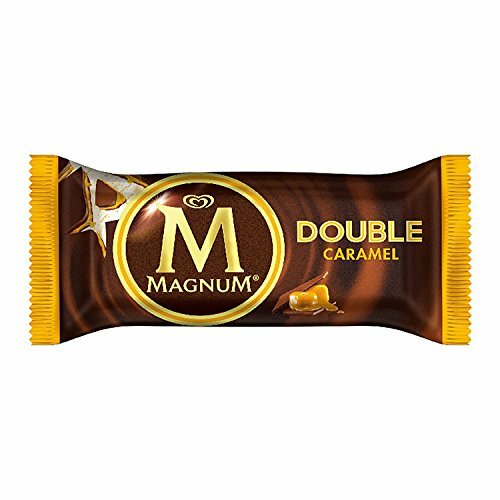 It is a decadent treat with yummy fudgy chunks and sweet swirls of rich caramel in the base of the ice cream. The coffee flavor comes from a rich brew that goes perfectly with the sweetness of the caramel and chocolate of the fudge. 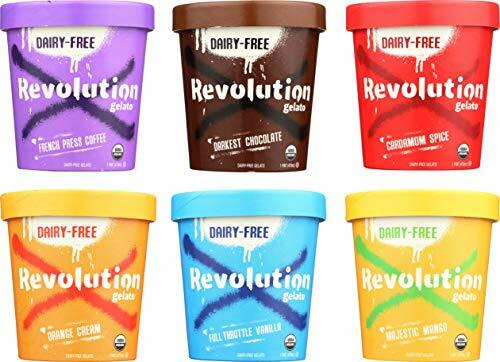 The Revolution is a dairy-free, egg-free, gluten-free, kosher, and ethically sourced frozen treat that has a silky smooth and rich flavor. It’s one guilt-free treat that comes packed with flavor and creamy texture. The award-winning flavors come in a large variety including full throttle vanilla, cardamom spice, French press coffee, darkest chocolate, majestic mango, and orange cream. The ice cream is better for you if you have a sweet tooth but don’t want the calories that come with the dairy option. It is also perfect for people who are lactose intolerant or have a gluten allergy. The intense flavor alongside the creamy texture will force you to stock up your freezer. 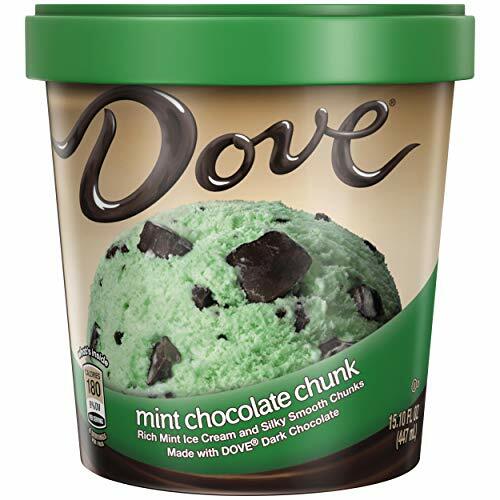 For those people who are at risk for diabetes or currently suffer from it, this ice cream is a great way to indulge themselves once in a blue moon. There are ice cream treats available that come with no sugar added. It is important to note, however, that you shouldn’t make it a daily part of your routine. Although they don’t have sugar, they do contain naturally occurring sugars and carbohydrates at times. These can raise the blood glucose level, which is why it is necessary to proceed with caution when it comes to sugar-free ice cream. 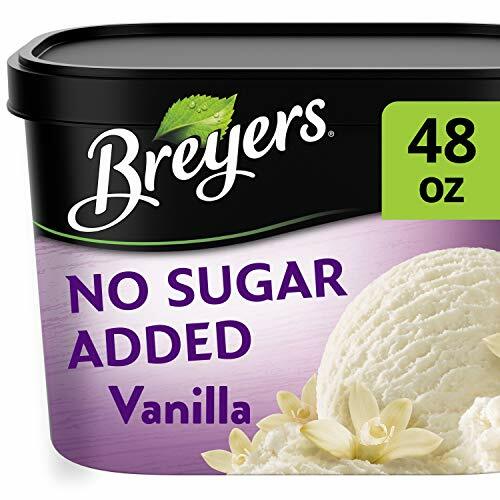 The Breyers frozen dairy dessert is sweetened using Splenda, which is a common sugar substitute used by many diabetic patients. The high-quality milk and fresh cream used gives the ice cream a creamy texture that is very refreshing and cool. The flavor and color are all-natural, so you don’t have to worry about any added chemicals. It is kosher and gluten-free. It has reduced fat, which means you can enjoy the rich, creamy flavor without any attached guilt that often comes with ice cream. 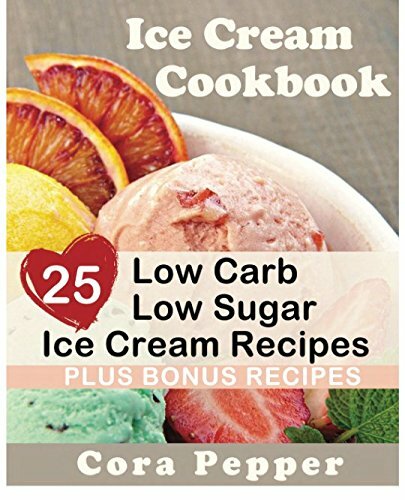 You can even make some delicious homemade low-sugar or sugar-free ice cream using creative recipes. This ensures that you have a frozen dessert option that you can have without any unnatural additives or sweeteners. This is one healthy way to add desserts to your diet without risking your health plan of Atkins, low carb, keto, or diabetic diets. There are many different flavors that you can make including blackberry, pineapple, vanilla, almond, strawberry, lemon, pumpkin spice, banana, chocolate, mint chocolate chip, and much more! Popsicles are one of the most beloved variants of frozen ice cream that is consumed by the masses. 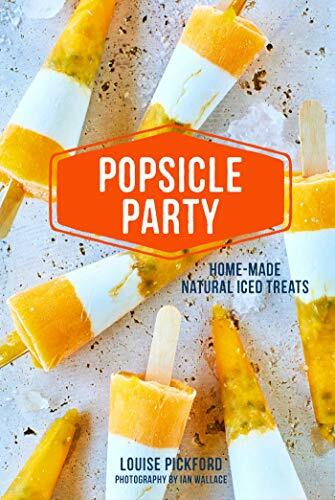 Ice pops are a really fun way to cool off during summers and come in all sorts of flavors and blends. They can be fruity, boozy, or creamy according to your preferences. 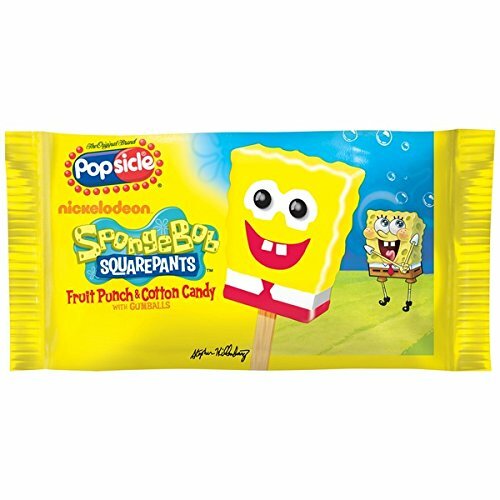 If you have a kid in the house, they will absolutely love the Spongebob Squarepants Popsicle ice creams. It has a mixture of cotton candy and fruit punch flavor that every kid will simply adore. The creamy popsicle is a fun way to reward your child after they have eaten all their vegetables. Mr. Freeze ice pops come in 4 fantastic flavors: strawberry, cola, orange, and raspberry. They are the best way to cool off during hot days and are an easy treat to store. They have a solid punch of flavor, making sure that you enjoy every bit. They are also a great way to stay hydrated on hot days when the icy cold pop feels amazing. Vimto is a really unique flavor that you wouldn’t be able to get in ice pop form commonly. These Vimto ice pops are the best way to combat heat and enjoy the unique Vimto flavor. It is made from 8% fruit juice and comes in easy-to-eat shapes. The pyramid shape is enjoyable and fun to eat. Do you like unusual Popsicle flavors or just generally love pickles? 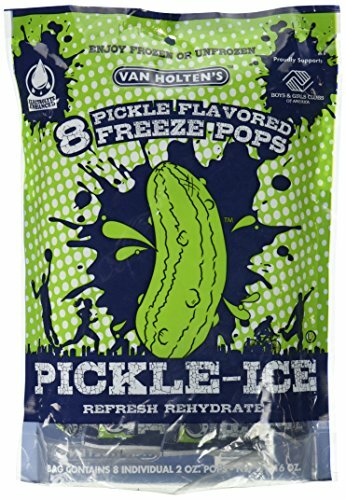 This tangy, sweet pickle pop is made in pickle brine to give you an amazingly unique flavor. It is a refreshing treat that can help hydrate you. It is perfectly balanced and has essential minerals like magnesium, calcium, potassium, and sodium. It also helps ease muscle cramps for athletes with its natural ingredient base. Though due to its unique taste it might not be for everyone out there. You can even create different ice pops at home. All you need is an assortment of fruits that you can freeze with juice or soda. You can even layer flavors for more interesting treats including coconut, mango, and passion fruit. There are also many beloved chocolate brands that have launched their own ice creams. The flavors of the ice cream resemble the chocolate’s flavor profile and create one super decadent ice cream. You will definitely love this pint of ice cream if you love the balanced flavor of Snickers chocolate bars. The chocolate-y peanuts add a nice crunchy and earthy texture to the other ingredients. 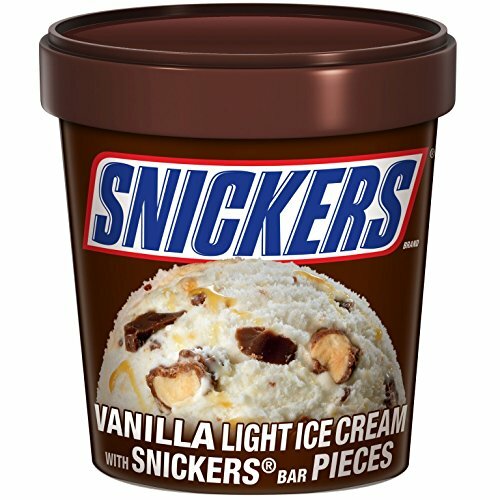 The caramel swirls through the ice cream base give the much-needed sweet flavor that goes so well with snickers bar pieces filtered through the ice cream. The base is made with smooth vanilla that adds balance and richness to the ice cream. This is one absolutely satisfying ice cream treat that will leave your craving satisfied. 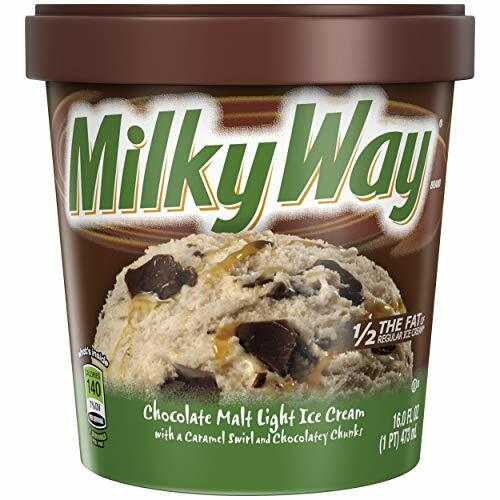 Milky Way ice cream is a chocolate malt ice cream that perfectly encapsulates the flavor of the brand chocolate. The light flavor of the ice cream is boosted with the chunks of Milky Way all through the ice cream. The caramel flavor adds a nice sweetness to the overall ice cream. Who doesn’t like the unique flavor of the Twix chocolate bar? This frozen creamy delight is perfect for summer picnics, birthday parties, or just a snuggly day in bed. The chocolate swirl through the ice cream goes perfectly with the light caramel flavor of the ice cream base. 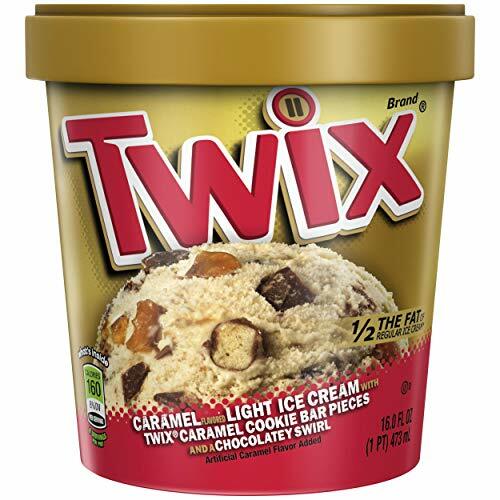 The Twix crunchy cookie pieces are added for extra flavor and texture. M&Ms are a favorite chocolate snack of many people around the world. The vanilla ice cream comes in a sugar cone and tastes absolutely amazing. 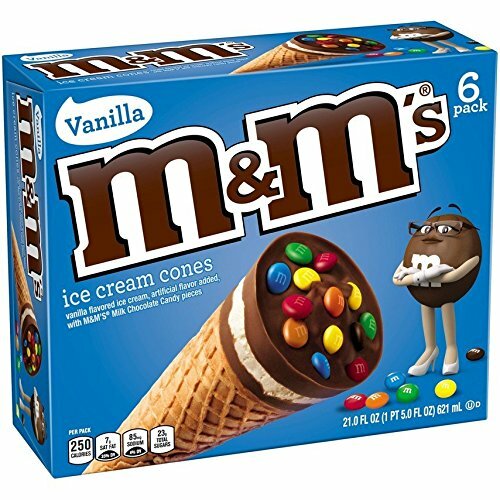 The M&M Mini candies are added for an extra explosion of yummy milk chocolate flavor. 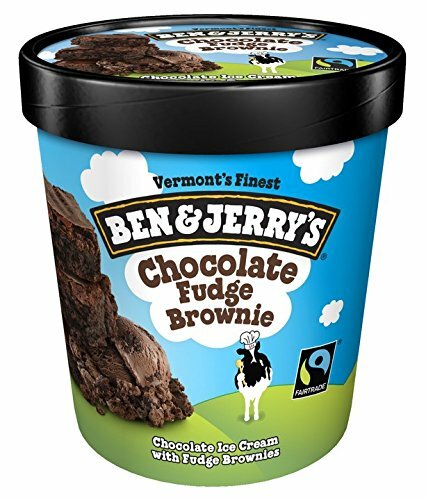 The chocolate fudge swirls through the ice cream help boost the chocolate flavor of the ice cream. The chocolate nugget, in the end, is the perfect way to end the experience. The sorbet is one special treat that you just can’t ignore. It is made with just fruit and sugar and is often churned in an ice cream maker so that it is scoop-able. It is often used a palette cleanser in restaurants offering multi-course meals since the fruit flavor is often refreshing and intense. Acai berries are a rich superfood that is part of many healthy diets. The flavor is often defined as a cross between a piece of dark chocolate and an intense, rich raspberry or blackberry flavor. 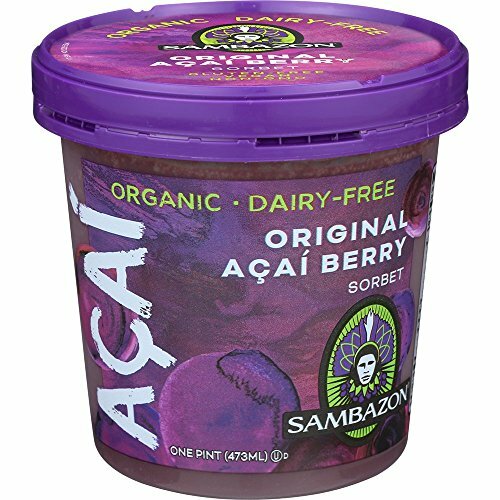 This organic Acai berry sorbet is everything you could possibly want on a hot summer’s day. It is absolutely refreshing and unique. The organic pint is best plain, but you can also top it with some granola or bananas. Raspberry and chocolate flavors are a match made in heaven. 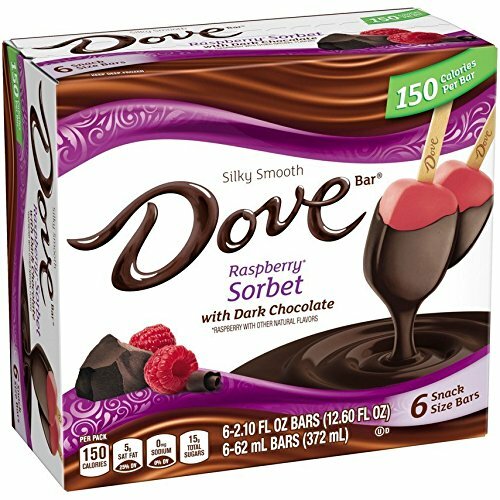 The Dove Bar offers the beloved combination of refreshing raspberry sorbet with creamy dark chocolate coating. This luxurious treat is perfect for any occasion and comes in great snack sizes that are great for sharing with others. You can stock as many in your freezer for whenever you want a nice treat. Ice cream and cookies are truly one dynamic duo that everyone can get behind. They are really yummy treats that can be eaten any day of the year, especially if they are well made. The ice cream sandwich is made by adding a scoop of delicious, yummy ice cream between two crunchy cookies of your choice. It is one easy snack that you can enjoy on any day of the week. 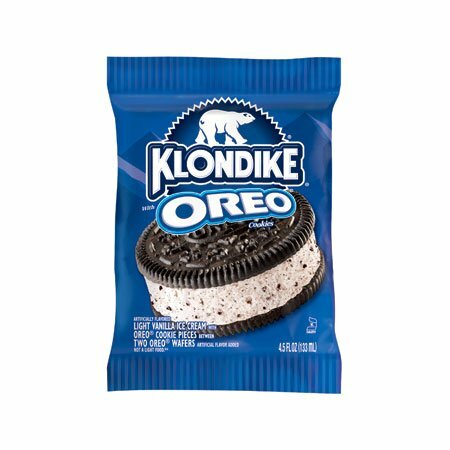 Oreos are a brand of cookies that seems like was designed for ice cream sandwiches. Everyone agrees that dunking the cookie in milk simply enhances the flavor and brings out the intense chocolate to a whole another level. Well, ice cream is a dairy product that can be even better than a glass of milk. The Oreo Ice Cream Cookie Sandwich has the necessary cool cream to balance the chocolate goodness of the biscuit for the perfect ice cream sandwich ever. 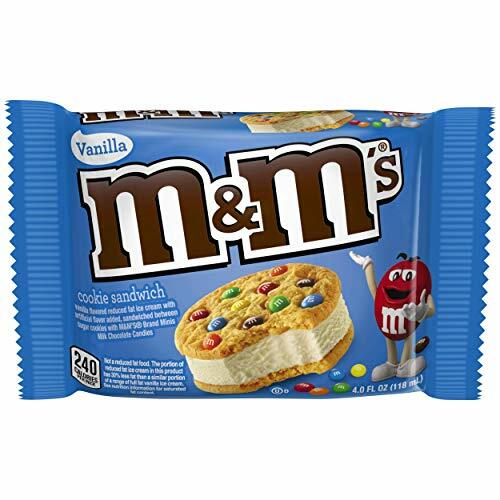 The M&M’S Ice Cream Cookie Sandwich is a basic sugar cookie with yummy M&M’S MINIS Milk Chocolate Candies. The candies add a lovely pop of chocolate-y flavor that everyone can enjoy to the fullest. The vanilla ice cream in the middle is made using pure cream which gives it a smooth, delightful flavor. Mrs. Fields chocolate chip cookies are famous around the world. They are ideal chewy cookies that have gooey-yummy chips all through that give fun little pops of flavor. 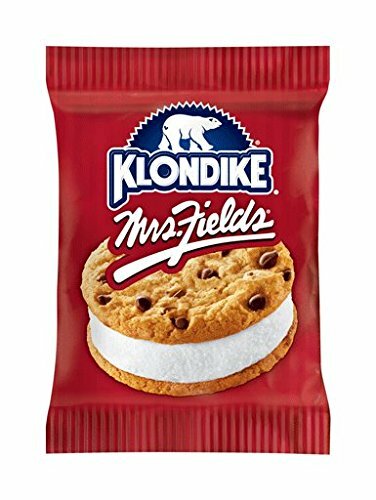 The smooth Klondike vanilla ice cream is also the perfect pair to the cookies. The creamy goodness balances the chewy texture of the cookies so that you will be filled with happiness at the end of the day. Ice cream is amazing in every shape and size. It comes in countless flavors that are beloved by millions around the world. So which ones are your favorites and which one are you going to try next? Who doesn’t love ice cream cakes? My favorite part is the Oreo crust made at Dairy Queen. You can get them layered with different flavors or just one flavor. The sky is the limit for toppings. In Summer, I love the bars. My favorite are double chocolate Magnum bars. These are by far the best, but cost a lot too. Finally, instead of buying ice cream, you can make your own. All you need is an ice cream maker. Most people buy it, but some people who are the DIY type, invest in an ice cream maker and save money in the long run.